My husband and I have lots of tattoos, and lots of kids (4). While they're not old enough to get tattoos (yet! ), we still enjoy "sharing" tattoos. 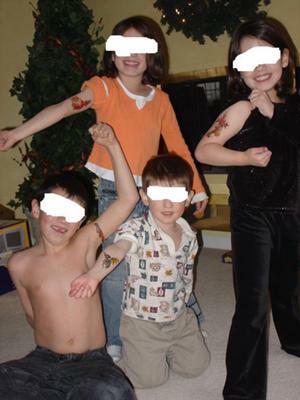 These days, they make great "temporary" tattoos, which the kids just LOVE! They get to experiment with types and placement, and it's all in good fun! Maybe, before you get a permanent tattoo, it would be a good idea to get a temporary one first...!